A wonderful film that captures the life of a hero and his journey that changed the world. Ever since I was a kid, I was fascinated with space as were most children I knew back then. I have fond memories learning about the solar system and the planets throughout, and of course learning about how man had landed on the moon. Now we finally get to see a film that focuses on the hero who took a giant leap for mankind, Neil A. Armstrong, in First Man. Featuring a beautiful 4K UHD picture with HDR color, and amazing sound backed by an even more amazing cast, this is one “big” step to the Academy Awards for sure. Our own Travis Seppala loved and reviewed this one while it played at theaters, and you can read all about his take on the movie, plot details and more. That leaves me to focus on my take, the disc, and the special features presented here. I’m with Travis on this one, as I thought it was a spectacular film that captures the infamous space race to the moon perfectly. I’ve been keeping my eye on Ryan Gosling for a while (and highly enjoyed him in Blade Runner 2049), where he quickly became one of my favorite actors, and his performance as Armstrong just might be his best yet and land him an Oscar. He does an amazing job playing him as a guy who overcomes many trials and tribulations to become one of history’s greatest heroes that inspired not only the United States, but the world as a whole. I guess this should come as no surprise given the script was written by Josh Singer who wrote the equally impressive Spotlight, and with Damien Chazelle at the helm who also led Gosling in La La Land. I know I go on about how great 4K UHD with HDR is, but this disc is really something to behold. The colors and details are really crisp and amazing here, as though Universal cranked the details up to 11. The picture is so clean and colorful, it nearly hurts the eyes, especially during outside scenes and during the space mission. The audio is equally beautiful, as the dialogue, score, and sound effects roar through thanks to the Dolby Atmos track that pulls you into the film. The special features are a bit on the short side, but they’re still pretty cool to look at. There’s audio commentary with director Damien Chazelle, screenwriter Josh Singer and editor Tim Cross as they discuss the production of the film and share some fun anecdotes on about some of the scenes. “Putting You in the Seat” goes into the awesome special effects and how the crew made them, “Recreating the Moon Landing” is a cool behind-the-scenes clip of how they filmed the famous moment, “Giant Leap in one small Step” is a short but sweet clip that briefly goes into Neil Armstrong’s life and how they brought it to the movie, and there’s a few behind the scenes clips and two deleted scenes that round out the extras. 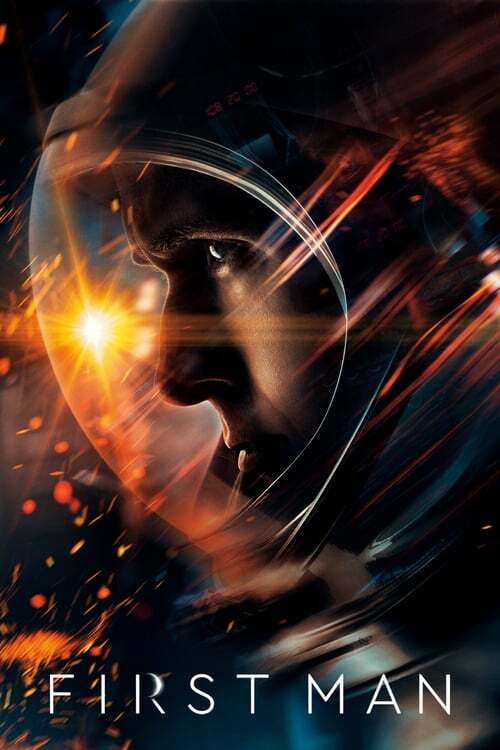 History buffs and those who enjoy a deep and thoughtful film won’t have to launch into space to pick up a copy of First Man, though the film feels out of this world with a gorgeous 4K UHD with HDR transfer, stellar Dolby Atmos sound, fantastic performances, and some cool special features tied in. You’ll want to go ahead and reach for the stars by picking this one up for your collection, as it’ll send you to the moon and back.